Trained and schooled as a classical flutist in a previous lifetime, mixed media artist, Betsy Emrich now brings color and image to life in her artwork rather than in sonatas and symphonies. Using bits of recycled magazine pages, paints and often junk and ephemera, her technique mixes contemporary fine art and folk art into a uniquely distinctive style. 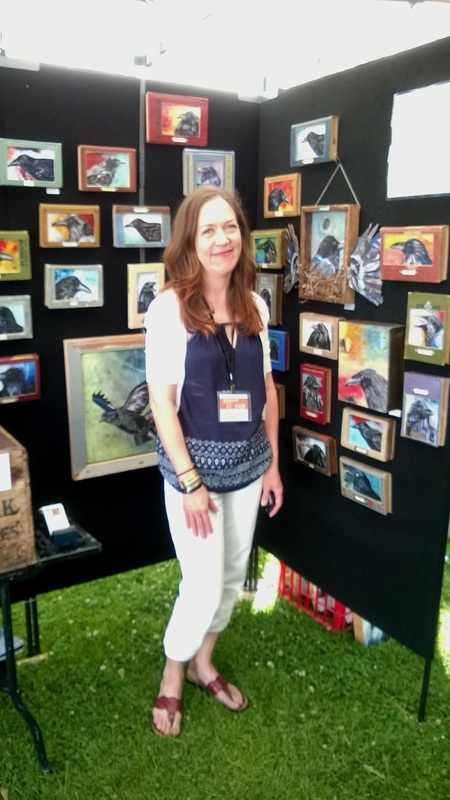 Betsy sells her work at art shows such as The Ann Arbor Street Art Fair, the Original, Chicago's Old Town Art Fair, The Plaza Art Fair in Kansas City, online and through galleries. Her work is in private collections in the U.S and abroad. Betsy has a Bachelors degree in Flute Performance from Peabody Conservatory and has completed graduate studies at the University of Cincinnati-College Conservatory of Music.